Here's the artwork for our upcoming album entitled "The Death Of Gaia". Artwork was done by Chris Smith of Grey Aria Design Studio. Releasedate hasn't been set yet. We'll let you know once Transcending Obscurity Records decides on the date. We received the split release with Lapsus Dei and it is available as of now. Check the merchandise page for further info. Chile's Australis Records has set May 31st 2018 as the release date for our split with Lapsus Dei, also from Chile. This release has been in the pipleline for a while now and will see a version on both vinyl and CD. Our part consists of two songs recorded live at the Malta Doom Metal festival in 2014, with our version of the Editors song 'Weight of the World' added as a bonus. The latter we recorded in 2017. Our label Transcending Obscurity Records has just released a sampler containing 36 songs by artists on their roster. The demo version of our new song "World In Flames" is amongst them. Better yet, you can download the sampler for free. Just a quick update. We have written the new album. 8 new songs in total. We're now going to prepare to record the album. We'll keep you updated on the progress and when this release is expected to be available through Transcending Obscurity Records. We recorded a demo of a new song basically to check out a studio for future recordings. This song will be featured on our upcoming album and of course it will be a different recording. For now we felt we had to share it so you all know we are still alive and kicking. You can stream 'World In Flames' on Soundcloud. While we are working hard on a new album, we did find some time to record a cover. We love doing covers once in a while. This time we decided on a track from the 2007 Editors album ‘An End Has A Start’. It is available as a free download from our Bandcamp page. It is also the first recording with the current line-up. Last week we played our final shows in 2016 in Bucharest and Sofia. Our first ever performances in Romania and Bulgaria. And it was a great experience. We can now look forward to 2017 and we have a couple of things lined-up for you. First thing we can mention is the fact that our demo from 1994 will be re-issued on a cassette tape. The original recordings have been remastered by Greg Chandler of Esoteric at his Priory Recording Studio. The tape is limited to 100 copies and is now available to pre-order at Sarlacc Productions. Once we get our copies we will add them to the merchandise page. The tape is expected around December/January. Next to that we can tell that there will be a new vinyl split release with Lapsus Dei from Chile. Our side of this split consists of two live cuts that were recorded at the Malta Doom Metal Festival in 2014. We expect this to be out before the summer. More detailed news on this will follow. We're also working hard on new material for our next album. We have finished a couple of songs and we are currently recording a demo along with a cover of song we all love. More news on this soon too. Last but not least we will add a couple more dates we have booked. So, make sure to catch us live on stage when you can. We added some new shirts to our merchandise page. This new design is available in various colours! We have come to an agreement with Transcending Obscurity from India for the release of our next full-length album. We're still writing material, but it's great to know that our next album will be out at some stage. It's a thrill to work with a label from India. It has become clear that there are no boundaries in metal and this might open some new doors. Read more about this cooperation on the website of Transcending Obscurity. After a couple of rehearsals and two gigs we are happy to present Theo Plaisier as our new bass-player. Theo is experienced and all-round and a great personality both on- and offstage. With great regret we have to announce that Lawrence is no longer part of Officium Triste. Although we can look back at great times together, there was no future perspective, due to personal differences. With the departure of Lawrence we lost an excellent bass player and stage performer. We wish him all the best with his music career and private life. With great pride both Vic Records and Officium Triste can announce their cooperation to bring back to life the 2004 album ‘Reason’. 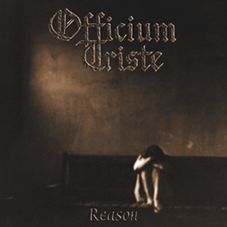 Originally released by the now defunct Displeased Records 'Reason' is considered to be the highlight of Officium Triste’s output by many. The five songs on this album display dark moods and outstanding melodies. The album has been out of print for a while now and will be reissued as a digipack with additional liner notes. Reason is available as of now. Check the merchandise page. As of now we have a page on bandcamp. Our releases will be made available to stream, download and to buy the physical album (when it is still available). We have secured the rights to the recordings we did for Displeased Records. This means we now own the recordings of “The Pathway”, “Reason”, “Giving Yourself Away” and recordings on the compilation “Charcoal Hearts – 15 Years Of Hurt”. All options are open now and we will see what we can do with these recordings. Especially when it comes to “Reason”. That album was released 10 years ago and has been completely sold out for a while now. 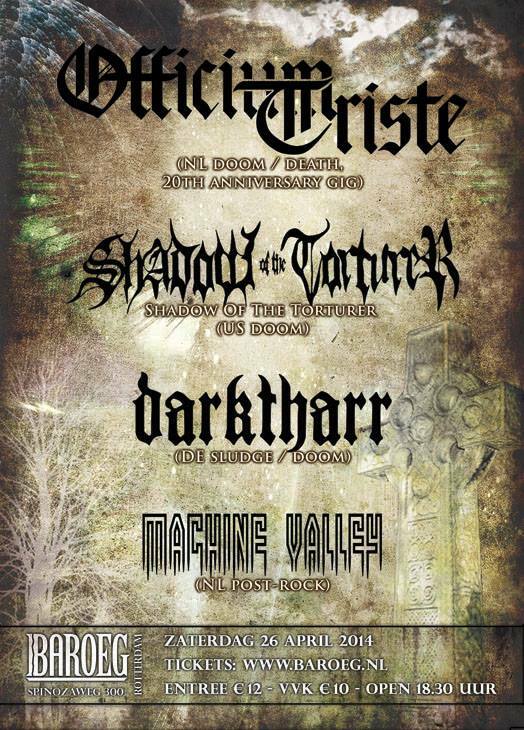 2014 marks the 20th anniversary of Officium Triste. In April 1994 we decided to quit with Reïncremated and continue as Officium Triste. In these years we’ve seen a couple of members come and go. Now it is time to say farewell to Bram. After 7 years in the band he has decided to pursue other interests. Not being able to commit 100 % to the band anymore Bram decided to step back. Bram is replaced by William van Dijk. William is a long-time friend of the band and he used to be in Whispering Gallery. William already has done some gigs with Officium Triste as a stand-in for Bram and from now on he will replace Bram permanently. To celebrate our 20th anniversary we will perform at Baroeg, Rotterdam on April 26. We will return to Spain for some shows in Januari with Autumnal, Evadne and Onirophagus. There’s some news to mention so here’s an update. Unfortunately our cooperation with Hammerheart Records was short-lived. Ever since we signed a deal where we licensed the recordings of “Mors Viri” to Hammerheart things worked out smoothly. Yet, the last couple of weeks we didn’t feel happy anymore about the way certain things worked out. Our expectations simply weren’t met. We had a good talk about this with Hammerheart and decided to leave things as they are. They did a press of 1000 CDs and 500 LPs and that will be it. No hard feelings, this is the best solution. So, as of now we are looking for an interested party to release a second press of “Mors Viri” for a possible late 2013 or early 2014 release. Those interested can get in touch with us. While we’re at it, check out our merchandise and buy our new album on CD or LP or any of the other stuff we’ve got available. CD Mors Viri now available. Check our merchandise page. You can listen to one of the songs of 'Mors Viri' on Youtube or on Soundcloud. 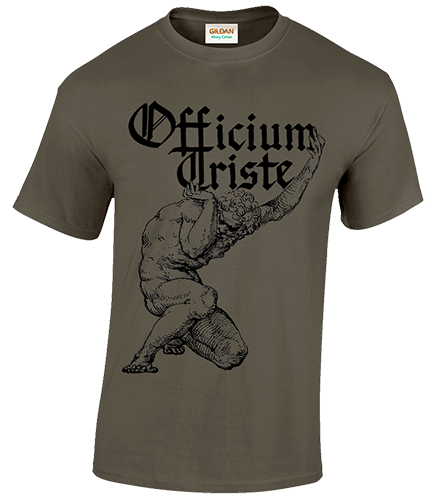 First of all, Officium Triste wants to wish you all the best for 2013. We know it's going to be a great year with our new 5th full-length coming out on Hammerheart Records on March 18th. We had some of our friends in music listen to the advance of 'Mors Viri' and we'd like to share their quotes with you. 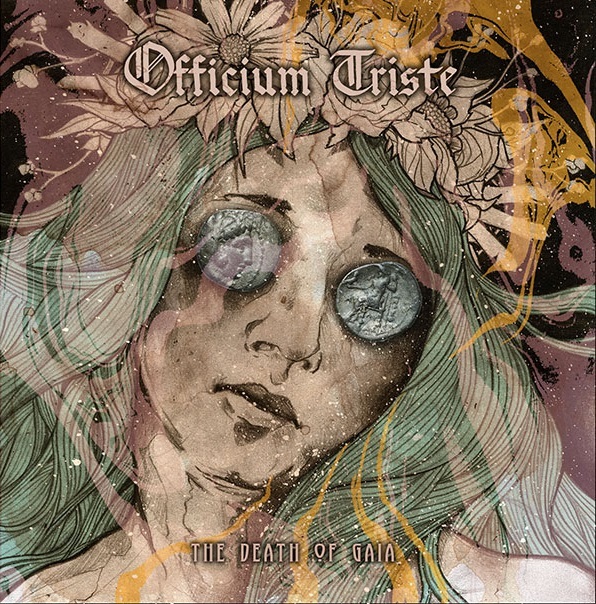 "With this new album Officium Triste have broken new ground with their songwriting both melodically and emotionally. Deep, haunting, heavy & beautiful. Perfect doom metal!" "With ‘Mors Viri’ it is clear that Officium Triste have delivered their greatest expressions so far; it is truly a journey that traverses everything from the sublime to the chilling and transcends the boundaries of death/doom without betraying their past whilst moving forward melodically and compositionally. I'll state without fear that ‘Mors Viri’ is one of the greatest albums of this year and the sound of a veteran band evolved into an entity where every component encourages and elevates the whole." The releasedate of 'Mors Viri' has been pushed back a month. It will be out on March 18th 2013! As you can see we have restyled our website to coincide with our upcoming new album ‘Mors Viri’. As you might know we have been working on this album for a long time. With reason. Since our contract with Displeased Records was fulfilled we decided to record the album on our own and when it’s done we will start looking for an interested label. That time has come. Over the last couple of months ‘Mors Viri’ has been mixed by Ronnie Björnström at Enhanced Audio Productions in Sweden. We are very pleased with the way it turned out. We hope to have the album out after the summer. Meanwhile we also recorded 2 new songs for the split CD with Germany’s Ophis. 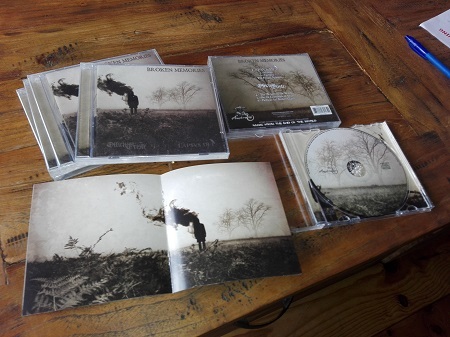 This CD, entitled ‘Immersed’ was released on June 25th on Spain’s Memento Mori. Our songs were mixed by Jonas Lindström of Isole. 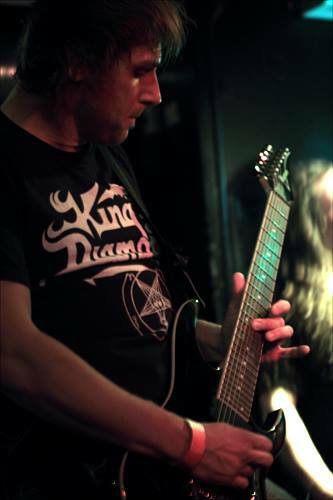 Greg Chandler of Esoteric mastered these recordings. During our recording sessions for ‘Mors Viri’ we also recorded a cover of Anathema’s ‘Sleepless’. We used to play this song live quite often in our early days. We thought it was cool to record this one. It won’t appear on any official release so we made it available for you to download. It’s our gift to our fans, because we can.